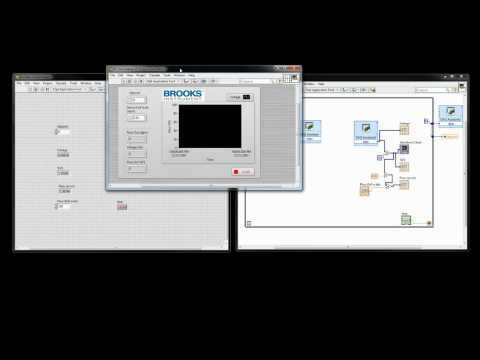 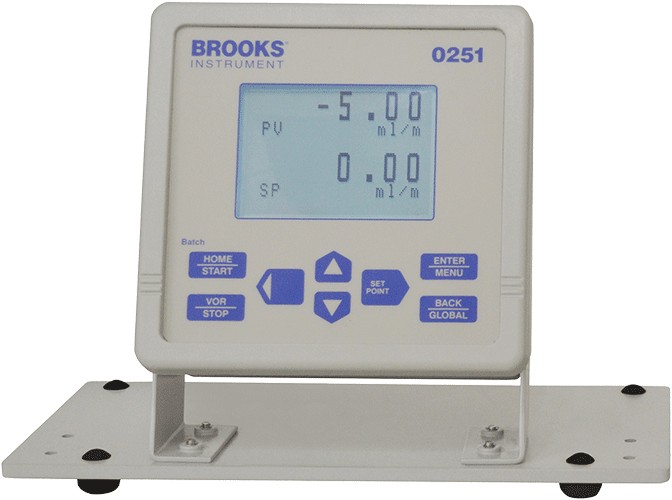 The 0250 Series is an innovative, reliable microcomputer-based controller providing power for up to four Brooks Instrument thermal mass flow, Quantim Coriolis mass flow, and/or pressure devices; all in a new compact design. 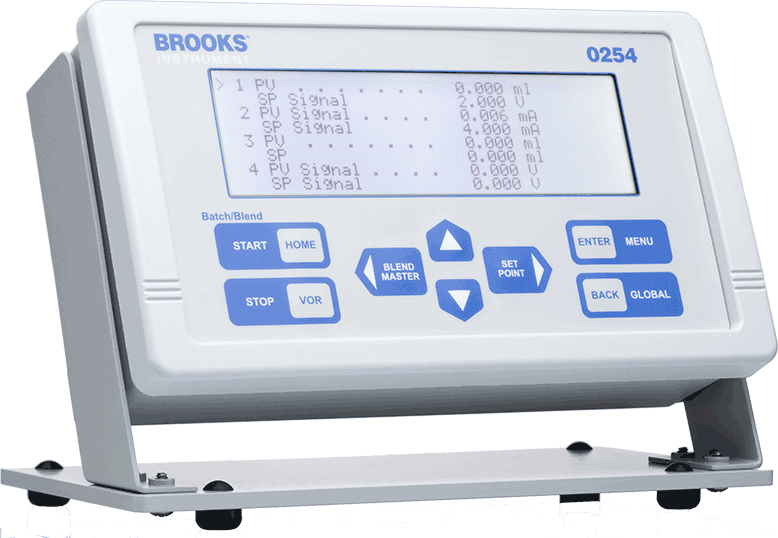 Additionally, the 0250 Series can be used to generate flow set point commands, display flow rate, totalize flow, provide blending multiple flow streams, and more. 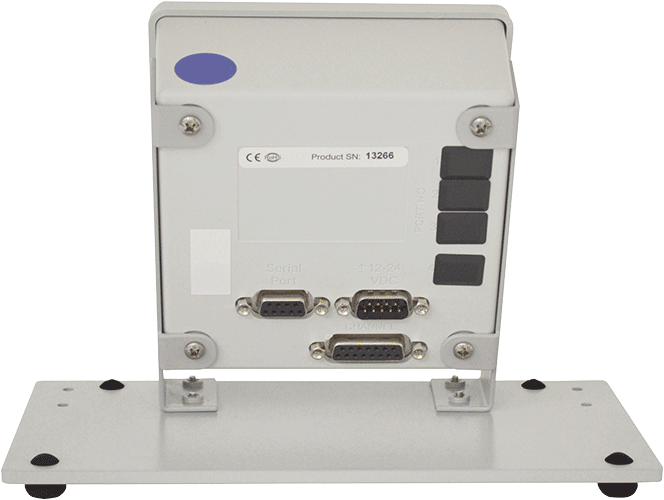 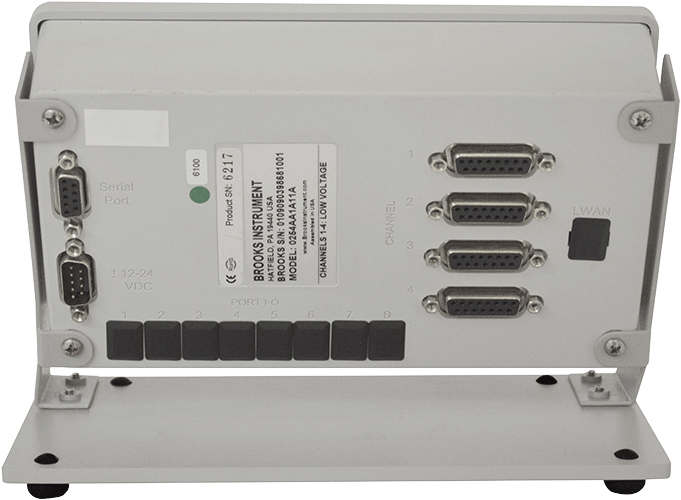 This fully RoHS compliant device has a very user-friendly interface and is offered with multiple mounting capabilities such as rack mount (0254 only), panel mount, and table-top mount.